The PermaEdge Bunker System allows for maximum flexibility when renovating or constructing bunkers. Our synthetic solution honors the natural aesthetic while securing your designs over the long-haul. New design possibilities exist for architects to "re-invent" a traditional look and define the next level in bunker performance. This style accommodates bunkers where the primary ojective is to stabilize the perimeter of the bunker. Should a small reveal be required or desired, a greater degree of excavation or an increase in material for shaping is required. Individual layers of the PermaEdge system are stepped slightly. 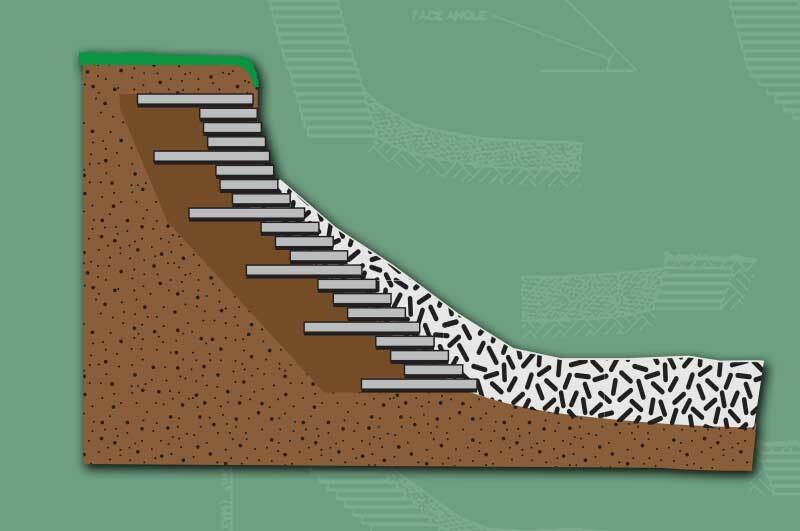 This style accommodates bunkers where a steep face exists. 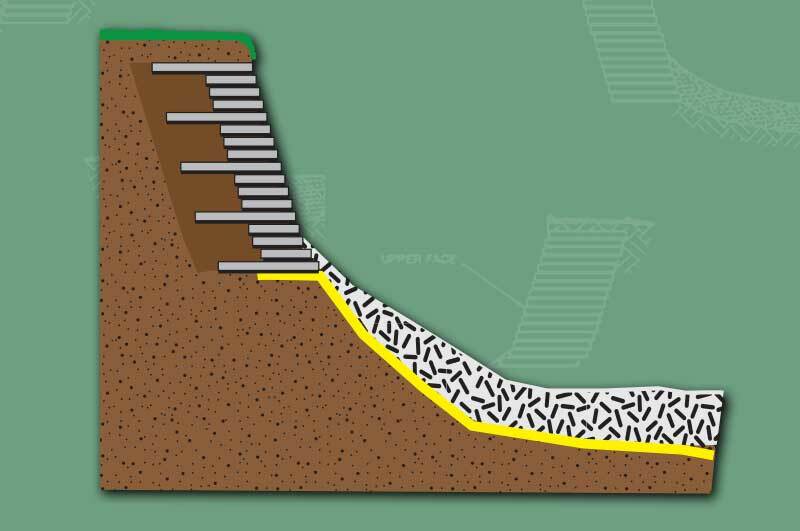 The design is augmented through the use of a bunker liner (such as Sandtrapper) to stabilize the sand on the slope. Excavation requirements are less than the "flashed" style below yet allow for a significant reveal. 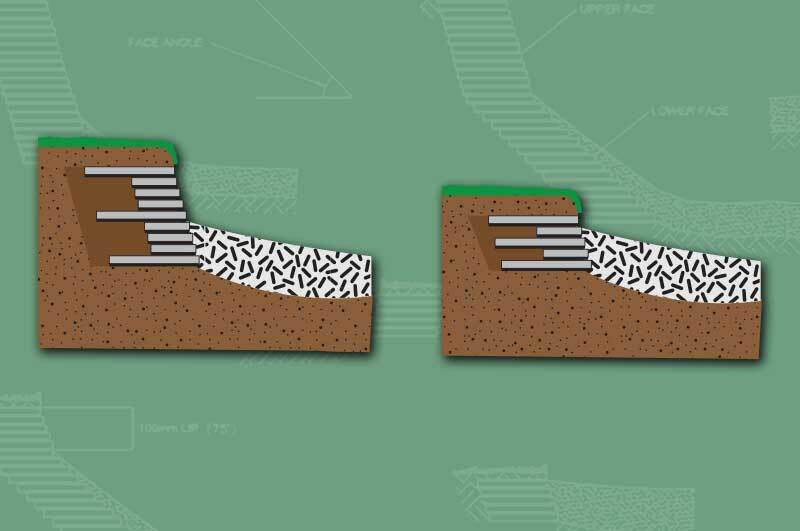 This style is the basis for many traditionally designed bunkers where an existing natural-turf revetment is being replaced. The alternating layers of PermaEdge are combined with specified assembly materials to "lock-in" the system and prevent instability. Individual layers of the PermaEdge system are stepped slightly. This style for steep bunker faces requires the greatest amount of excavation due to the profile of PermaEdge setting deeper into bunker. This style stabilizes the bunker face while additionally stabilizing the sand on the bunker face. Alternating layers are combined with specified assembly materials to "lock-in" the system. Frequently, our customers require additional guideance in understanding design possibilities for their project or are unaware of new adaptations not seen here. Don't hesitate to contact us. We're here to assist you throughout your planning efforts and want to make sure we keep your project on track. 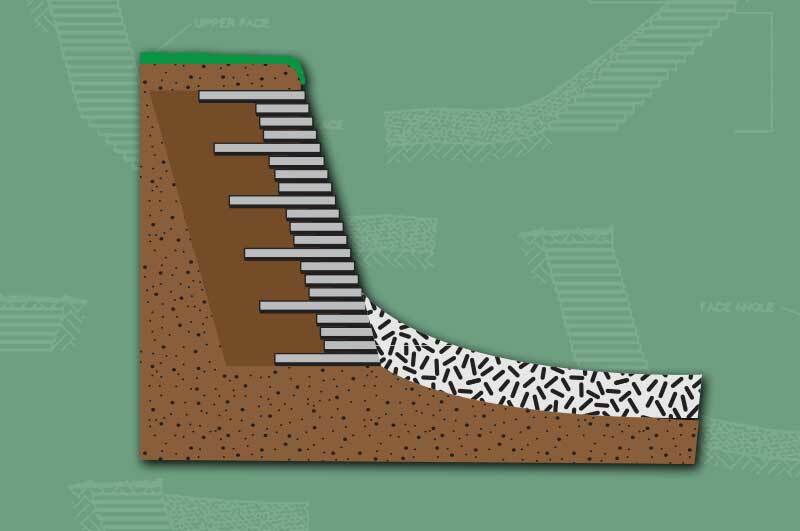 PermaEdge Bunker System is brought to you by IVI-GOLF, manufacturers of Sandtrapper bunker liners. IVI-GOLF is a division of Indian Valley Industries, Inc., manufacturers and distributors of environmental protection products to American Industry. ©2016 Indian Valley Industries, Inc. All Rights Reserved.